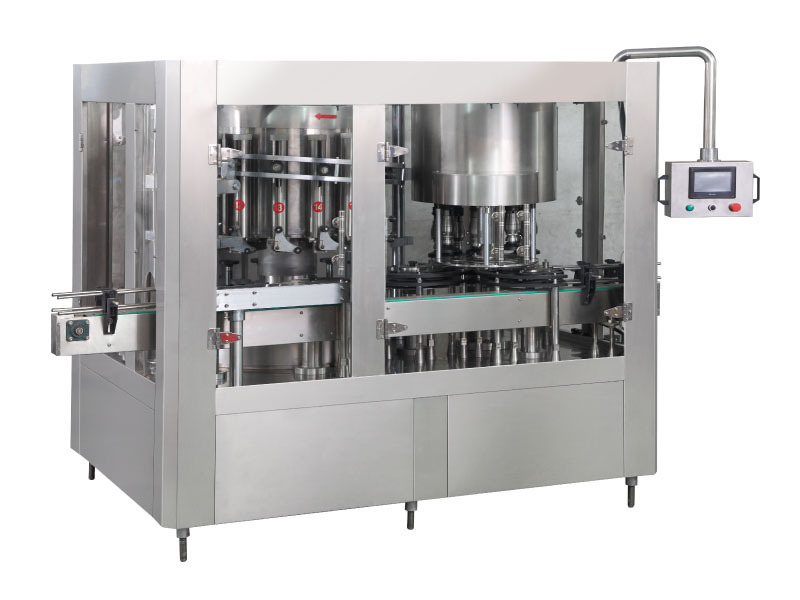 Vinegar filling machine is suitable for filling of soy sauce,favoring,oil and etc. 1.One machine is adjustable for different bottle size. 2.The host machine uses PLC and frequency converter control,which makes the process automatic. 3.The dynamical system adopts drive shaft,which can work stably. 4.The method of negative gravity can improve the accuracy of filling. 5.Advanced automatic lubrication system without manual oiling make the machine have longer service life. 6.The whole machine has little noise and can be repaired easily. Vinegar filling line can fill of soy sauce, favoring, oil and etc.